In February 1886, 24 years after the Lincoln Diocesan Training College first opened its doors, the Committee of Management approved the establishment of a library. Initially just a handful of books arranged in a cupboard in the Lecture Hall, the collection grew steadily and by 1899 there were 485 library books, many described simply as 'general literature'. In 1912 the College appointed its third (and first female) Principal, Miss Winifred Todhunter. Soon after, the library's annual grant was increased to £25 and a 'Reference Library' was created containing 1,500 books on the first floor of the Skinner Building. The renovation work required to house the collection was paid for with the proceeds of the sale of the College's printing press. 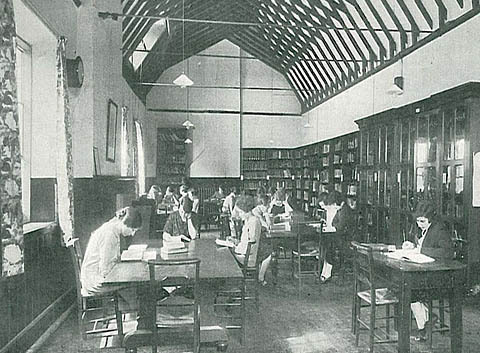 In the 1920s the library moved into what had been the College's Practising School, and by the 1930s it contained around 7,400 books. 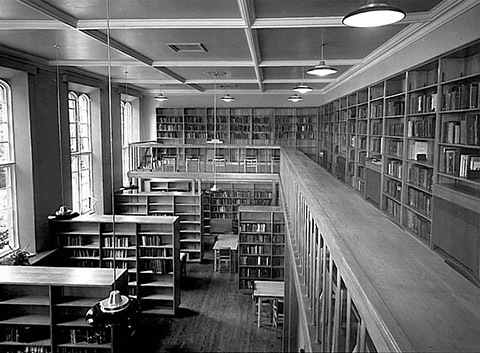 In 1950 the College employed its first librarian and seven years later the first purpose-built library was created on the ground floor of the Skinner Building adjacent to the Chapel. The next incarnation, The Sibthorp Library, was built on the site of old tennis courts and was opened in 1972 by HRH The Duchess of Kent. It was named for the Sibthorp family who occupied Canwick Hall from 1730 to 1940. 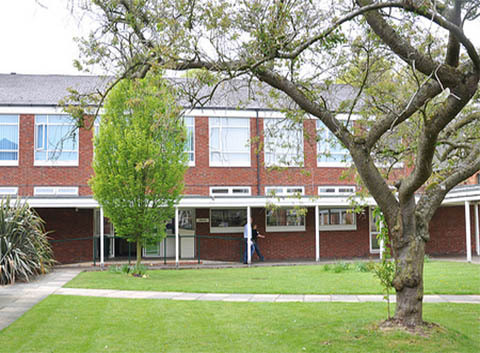 An extension to the building in 1998 was opened by Gillian Merron MP. Between 2011 and 2012 a £2.5m investment by the University saw the library extended by a further 800 square metres. At the same time existing facilities were significantly refurbished. 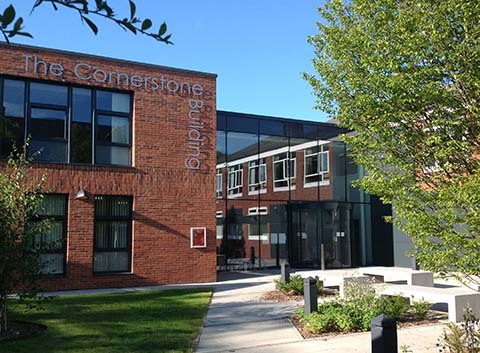 The library building was renamed The Cornerstone Building and is currently home to the Library Services and Student Advice departments. The library accommodates over 140,000 books and offers a wide range of journals, audio-visual materials and online resources. It is also home to several special collections including the Teaching Resources Collection, the Lincolnshire Collection and the Lincoln Mystery Plays Archive. All photos ©Bishop Grosseteste University.